What do you do when you don’t know what to do? You have a problem. An unanswered question. A big decision to make. You want something but don’t know how to get it. Let’s start with the obvious: Sometimes, you just need more information. More facts, more ideas, more examples to look at and sift through. Learn more about the problem, the risks, and the options. Let what you find dictate the best course of action. That’s where I usually start. You too, I’m sure. But sometimes, more information doesn’t help, it leads to more indecision. Sometimes, the answer is already inside us, we just need to give it a voice. Speak or write your thoughts, your ideas, your fears, your questions. Get them all out of your head. What do I want? Why do I want it? What will it do for me if I get it? Is there another way to get that? What information do I need to know? What skills do I need to develop? What are my strengths? Who is doing/has done what I want to do? If that doesn’t give you the answer. . .
Talk to a friend, a colleague, someone who has been in your shoes or someone who can be a sounding board for you and help you talk it out. Or, hire an expert, a consultant or coach. Someone who can advise you and help you sort through the options and make the right decision. Or, talk to a lot of someones, e.g., your clients. Conduct a survey, find out what they think, what they want, what they’re willing to pay for. Damn the facts, do what you want to do. Imagine yourself choosing different options and see how each one feels. Not the solution or result, the “doing”. Your gut will tell you which one feels right, and your gut is usually right. True, making no decision is making a decision but sometimes that’s the best decision. Leave things where they are. What’s the worst that can happen? Doing nothing might give you space and time you need to let the right answer come to you. Walk away for a day or a month and come back to the question with a fresh perspective. Your turn. What do you do when you don’t know what to do? 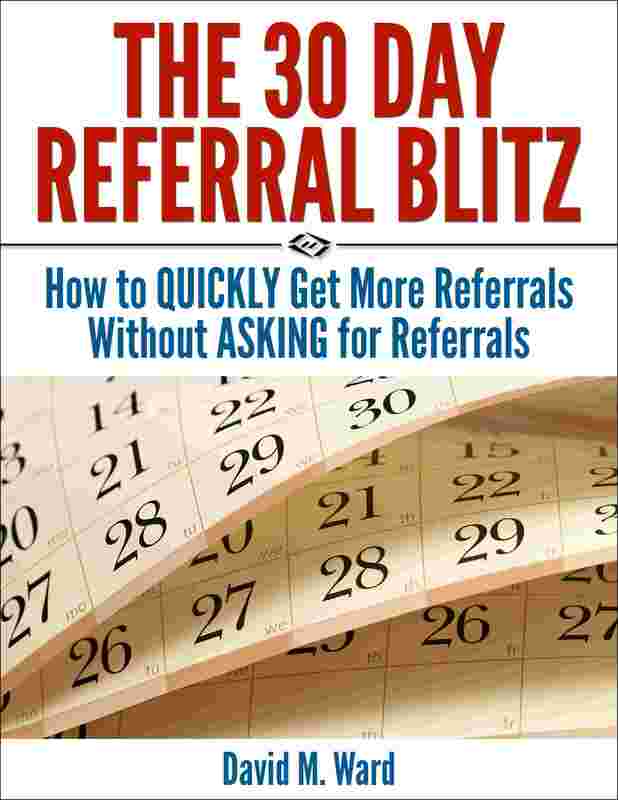 Have you taken my free referral course? Yesterday, I pontificated about how much information is “enough” to make a decision. Subscriber John S. agreed with my message and told me that his high school football coach used to say, “Do something, even it’s wrong”. Coach wanted them to move, not just stand there. John said that if they waited too long, analyzed every option, the opponent could run by them and score. If you’re like me (and you are,) you are often guilty of over-thinking, over-analyzing and procrastinating while you figure out the best thing to do and the best way to do it. It goes with the job. But let’s face it, while our analytical tendencies are valuable in many contexts, they often keep us from doing things that could dramatically improve our lives. So, yeah. My new motto is, “Do something, even if it’s wrong”. Nobody is ever going to describe me as impetuous, but I’m putting the habit of taking action at the top of my list. Okay, number two. Maybe three. Gotta keep it real. So thank you John S. And, if you ever see your old coach, thank him for me, too. One thing that always bothered me about legal research was knowing when to quit. How do you know when you have enough citations or enough arguments to win? If you are exhaustive, you risk turning off your reader. If that reader is a judge (or law professor if you’re still in school), you’ll hurt your cause instead of helping it. How much is enough but not “too much”? Unless there are rules dictating the length of a document, you don’t know for certain. All you can do is use your best estimate. Fortunately, that usually works. Your instincts and experience tell you when you have enough and usually restrain you from including too much. Why don’t we have that same Spidey Sense when it comes to making important decisions? Decisions about marketing, managing, and building our practice. Financial and health decisions. Decisions about the direction of our life. Instead of using our best estimate, we often procrastinate. We tell ourselves we need more information because we’re afraid of making a mistake. How about that? Actual numbers. Now, if we could just figure out how much 70% is. Everything you buy or do comes at a cost. You pay the price with your money, your time, or your energy. Some costs you pay without thinking because you believe you have no choice. You pay the rent or the mortgage, for example, because bad things will happen if you don’t. But you may have other options. You might negotiate a lower rate. You might move to lower-cost digs. If you never consider these options, you might pay more than necessary. Over time, a lot more. Decisions come with another hidden cost. The opportunity cost. The opportunity cost is what you give up when you decide to buy or do one thing instead of another. When you spend a dollar to buy something, that dollar cannot be spent on anything else. Similarly, when you spend an hour doing an activity, you can’t spend that hour on any other. What you give up by doing one thing instead of another could eventually cost you a fortune. An hour spent on a client file might bring you hundreds of dollars. That same hour spent on attracting a new client, however, might ultimately generate hundreds of thousands or millions of dollars. Yes, you have to do the work. But don’t do it–or pay your rent–without considering the hidden costs. Every decision you make–big ones like whether to go to med school or law school, to little ones like whether to work on the Smith case this morning or work on marketing instead–require an investment of time, energy, money, and mental focus. You consciously or unconsciously calculate these costs, along with the possible return on your investment. But there’s a good chance you are omitting something from your calculation. It’s a cost that most people don’t think about, but should, because it might be your biggest cost. Deciding to make that investment might also result in a much bigger payoff. It’s called the “opportunity cost”–what you give up by taking on project A, for example, when you could instead use that time, money, and energy, to do project B. Project A might require less time. But when you factor in the cost of losing the benefits of project B, you might decide project B is the better choice. Savvy investors understand the need to calculate the opportunity cost of their investment decisions, and so must we. Of course we must also consider the opportunity cost of turning down one project in favor of another. I’ve turned down invitations to speak because I had other things I could do that offered a better return. But in so doing, I lost the opportunity to get my name in front of new people, which, long term, might have had the bigger payoff. Every decision to do something includes a decision to not do something else. Look at your task list and see what you have flagged to do next. Ask yourself what you might be giving up if you do it. But also consider what you might be giving up if you don’t. You invested a few minutes reading this post, minutes that could have been spent reading something else or doing something else. Did your investment pay off? Was it worth it to be reminded about the importance of considering the opportunity costs of your decisions? If it was, then I made the right decision to write about it. Asking yourself this question forces you to think about what you really want instead of what you think you’re supposed to do. It helps you to bypass your doubts and fears and speak the truth. It asks you to temporarily suspend your logical left brain and listen to your creative right side. When I’ve mentioned this quote in the past, it has always been in the context of the big picture. Major career changes, for example. If you asked me this question about my work right now, my answer would be completely illogical. It’s something creative, something I’ve never done before and, as far as I know, something I have no innate talent for. But if I knew I could not fail, it’s exactly what I would do. Unfortunately, I know I could fail. So I’m not going to do it. Not now, anyway. I’ve got too much other stuff on my plate. They say, “trust your gut,” for a reason, and right now, my gut is telling me to wait. Odd, isn’t it? My gut is telling me what to do if I knew I would not fail and also telling me to wait? I think God likes to mess with us. Anyway, this morning, I was thinking about this question and I realized that we can also use it to make smaller decisions. If you are scheduled to deliver a presentation, for example, and you’re not sure which topic to choose, asking the “cannot fail” question might guide you towards choosing the ideal, albeit not obvious (or logical) choice. When I say ideal, I don’t just mean something you would prefer to do but are allowing other factors to stop you. I mean ideal in the sense that it might lead to superlative results. One topic might get mild applause. Another topic, the one you would choose if you knew you could not fail, might attract someone in the audience who is so affected by your presentation that they invite you to deliver it again to a bigger and more influential group. What if you’re wrong? Yes, that might happen. But what if you’re right? How do you know you’re making the right decision? Sometimes I get ideas and they work right from jump street. Everything falls into place and the finished project looks very much like what I envisioned when I first got the idea. But that’s the exception, not the rule. Usually, my first idea turns out very differently than I imagined. Once I start working on it, I realize that I’ve missed things or that the entire idea is defective. I’m working on a new book and I’ve been struggling with how to slant it. There are two completely different markets I could write for and I didn’t know which to choose. (For the record, attorneys are one of them). I thought about it and decided to write the book so that both markets could benefit from it. Problem solved. But it wasn’t. As I thought about it some more, I realized that one market was a much better choice than the other. Then I thought, why not write two books? The two markets are different but I could easily take the material and adapt it for both. I noodled about the problem for a few days but couldn’t decide. Back and forth I went, but nothing felt like the right choice. Finally, I made (another) decision. 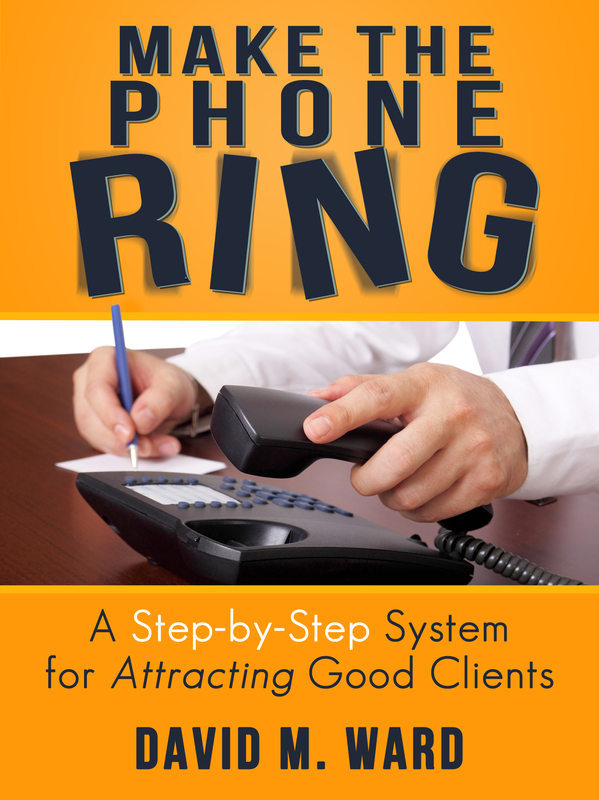 I would write the book for the non-attorney market since that was the more logical choice. Well, you can probably guess what happened. After a good night’s sleep, out of nowhere, another idea came to me. Strangely, this idea focuses on a completely different angle and market than what I had been considering. Even stranger, and better, is that the book can appeal to both of the two original markets and another completely different market that might be even better. How do I know it’s the right decision? I just do. It feels right. When I think about it, I feel lighter, like a burden has been lifted. I can’t wait to work on it. Also, it feels like this book will be easier to write, that it will flow quickly and naturally because I’m not trying to make it do something, I’m letting it do what it wants to do. If you’ve ever struggled with making the right decision, the answer isn’t to try to think your way through it. The answer is to relax and let it go. Get away from the subject for a while and let your subconscious mind work on it. In your heart and your gut, the right answer exists. Give it time and allow it to bubble to the surface. When it does, it will let you know that it has arrived. As a kid, I loved Star Trek. I watched the original series and thought that Mr. Spock’s unemotional, logical approach to problem solving was the way to go. Examine the evidence. Calculate the probabilities. Make your decision. I even took a class in logic in college. It was one of my favorites. My professor noticed my enthusiasm for the subject and wrote me a letter of recommendation to law school. Anyway, I started my legal career with a penchant for logic. I calmly reasoned my way through problems to find the best solutions. I did my best to keep my emotions in check. And it’s a good thing I did. Those first few years were awful. 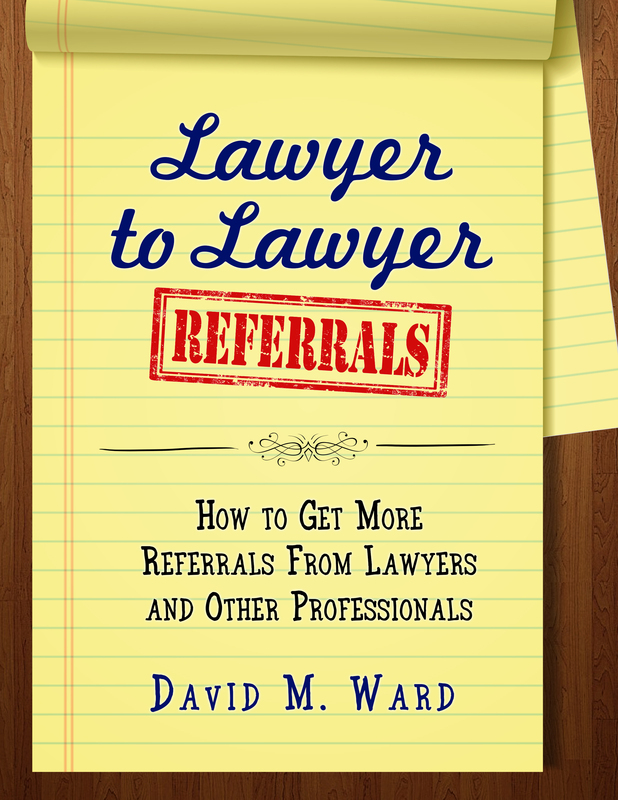 I didn’t know how to bring in clients and, oh yeah, I barely knew how to do the legal work. Every month was a struggle to survive and if I had let my emotions out of their box, I would surely have fallen apart. Logic got me through some tough times. Later, when I had turned things around and had a thriving practice, logic only took me so far. At one point, I had an important decision to make. I can’t recall the subject but I remember having a terrible time deciding what to do. I had a paralegal who saw my consternation and offered a suggestion. She told me that I was more intuitive than I realized and that I should trust my intuition to provide me with the right answer. I listened to her. And then I listened to the voice inside me that told me what to do. Whatever the issue was, my intuition provided the solution and the problem is long forgotten. We should remember that Spock was half-human. Somewhere inside him was a reservoir of intuition and human emotion. We saw flashes of it when he made illogical decisions to save the life of Captain Kirk. We all have great intuitive powers and we shouldn’t ignore them. There is a voice inside us that wants to guide us but most of us (men) don’t listen. Feelings, who me? I’m a lawyer. I don’t let my feelings tell me what to do. Maybe we should. Maybe we should listen to how we feel about things before we make decisions. I do that now. When I think about choosing A or B, for example, I ask myself how I feel about those options. More often than not, I choose the option that feels better. I also do that when charting my future. I look at the pantheon of options available to me–all of the projects I could work on, all of the tasks on my master list–and do the ones that I feel pulled toward. I have one such project I’m working on right now. It’s something I feel good about and I can’t wait to get back to work on it. Isn’t that how our work should always be? Mostly doing things we enjoy? Look at everything on your plate right now, and everything on your list of ideas. Which one calls to you? Which one feels good when you think about it? That’s probably what you should do next. Mr. Spock might not approve, but he’s at the Science station and you’re in the Captain’s chair. What the researchers found was that at the beginning of the day, a judge was likely to give a favorable ruling about 65 percent of the time. However, as the morning wore on and the judge became drained from making more and more decisions, the likelihood of a criminal getting a favorable ruling steadily dropped to zero. After taking a lunch break, however, the judge would return to the courtroom refreshed and the likelihood of a favorable ruling would immediately jump back up to 65 percent. And then, as the hours moved on, the percentage of favorable rulings would fall back down to zero by the end of the day. Apparently, our willpower becomes weaker after we have made a lot of decisions or we are otherwise fatigued. Make fewer decisions. Once you decide on something, stick with it, unless there is a very good reason to change your mind. Make important decisions earlier in the day. Similarly, save less important decisions for later in the day, to avoid impulsive decisions. If you have to make important decisions later in the day, eat something first. Schedule important tasks for earlier in the day. When decisions come up, you will be more likely to make better ones. Sleep on it. Before making important decisions, make sure you have had a good night’s sleep. Take breaks throughout the day. Even a few minutes of rest can help you avoid making impulsive decisions. When making important financial decisions, such as for a major purchase, decide as much as possible in advance. For example, when buying a car, decide on as many variables before going to the dealer and speaking to a sales person. Turn off distractions (email, Internet, social media) when working. Constant decision making (e.g., should I check my email?) is wearing and inefficient. Of the lot, making fewer decisions will probably give you the biggest bang for your decision-making buck. Lawyers have the most difficultly with this, don’t we, what with all that “one the one hand” and “one the other hand” conditioning? Life is easier, however, when you can get some things off your decision-making plate and be done with them. For example, let’s say you are undecided about the use of social media in your marketing. You hear everyone and his brother saying “you must” and you hear me and a handful of others saying “not necessarily.” Then you hear about the different platforms you can use and how best to use them. Every day, you are bombarded with information and advice. Wouldn’t it be nice to know what you will and won’t do? Spend enough time researching the subject and make up your mind. Then, move on. If you’re not going to do anything on Pinterest, you never have to read about Pinterest or think about it again. If you don’t like social media and don’t want to use it, don’t beat yourself up about it. Done. Next subject. If you are convinced that Facebook is essential for building traffic and engagement and meeting prospective clients and referral sources, then get busy with it. The word “decide” comes from the Latin meaning “to kill the alternative”. Go forth and slay some alternative dragons, young warrior. You’ll sleep better knowing they are dead and buried. How I use social media in my business. Click here. My wife gets frustrated when I answer her questions with questions. Or when she asks for my opinion about something and I am non-committal. Why am I like that? Because I’m a lawyer. Lawyers are trained (and pre-disposed) to question things. To look at both sides. Weigh the consequences. We can’t help it. “On the other hand. . .” is hard wired into brains. Thinking like a lawyer protects us and our clients. It avoids harm. If something bad happens, it minimizes damages. But while thinking like a lawyer may be a necessary competent of being a lawyer, it can hinder the growth and profitability of our practice. Lawyers usually have a difficult time making decisions. All that weighing and “on-the-other-hand”-ing keeps us in a form of stasis. When it comes to making decisions about hiring, delegating, marketing, and managing our practice, we often make no decision. But making no decision is a decision–a decision to maintain status quo. 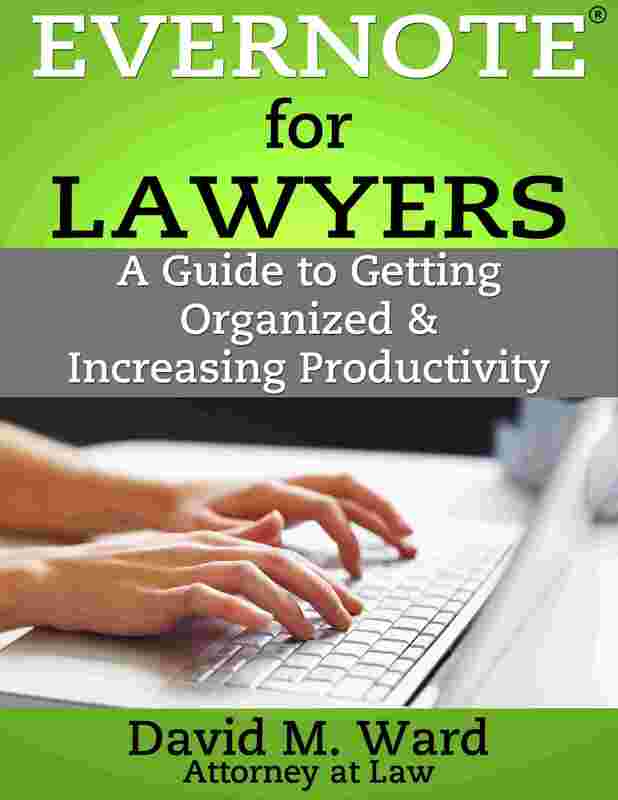 A law practice, like a living creature, is either growing or dying. If you are not growing, if your practice is the same today as it was a year ago and you do nothing to change that, eventually your practice will die. If you have difficulty making decisions and you want to change this, the first thing you should do is to decide to change this. Start by lying to yourself. Tell yourself that you have decided to get better (and faster) at making decisions, even if this is not true. You don’t have to tell yourself that you are a good decision maker, just that you have decided to get better. Get comfortable with the idea. Let it rumble around inside your brain. Write it down if you are brave. Your subconscious mind won’t know it’s not true–it believes what you tell it. And your Reticular Activating System (RAS), the part of your brain that filters stimuli based on your beliefs and desires, will get to work on your behalf. First, your RAS will filter out stimuli that contradicts the notion of you being better (and faster) at making decisions. It will hide or downplay memories of situations where you have had trouble making decisions. Second, your RAS will allow in more stimuli that is consistent with the new you. It will call your attention to situations where you have made good decisions or fast decisions, and it will infuse those thoughts with positive emotions. Your RAS will also help you find ways to get better at decision making. It might make you notice an article or book that can help. It might make you recall someone you met who is good at making decisions quickly, prompting you to speak to them. If you have been having trouble making decisions about a specific topic, creating or improving your website and online marketing for example, your RAS will help you get additional information about that subject so that making decisions gets easier. If you want to get better at making decisions, you can. But only if you decide you can. 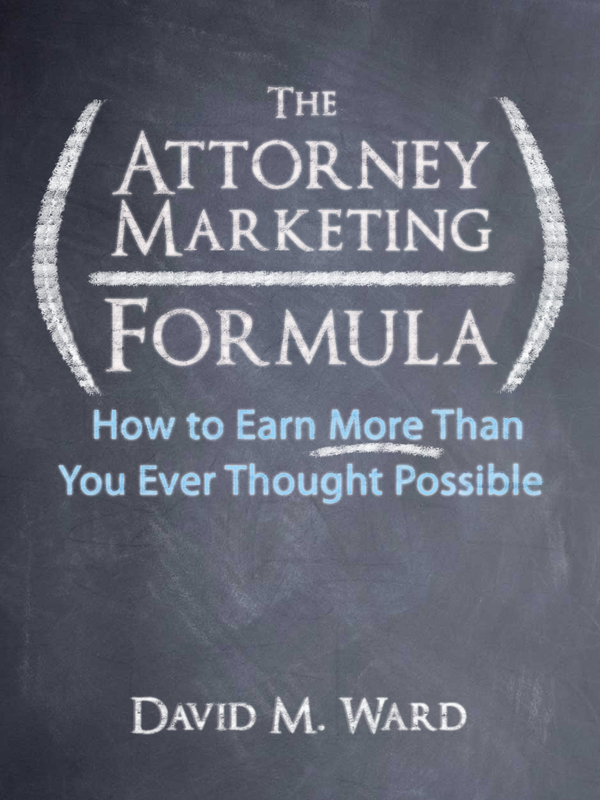 Here it is: more information about marketing online for attorneys. 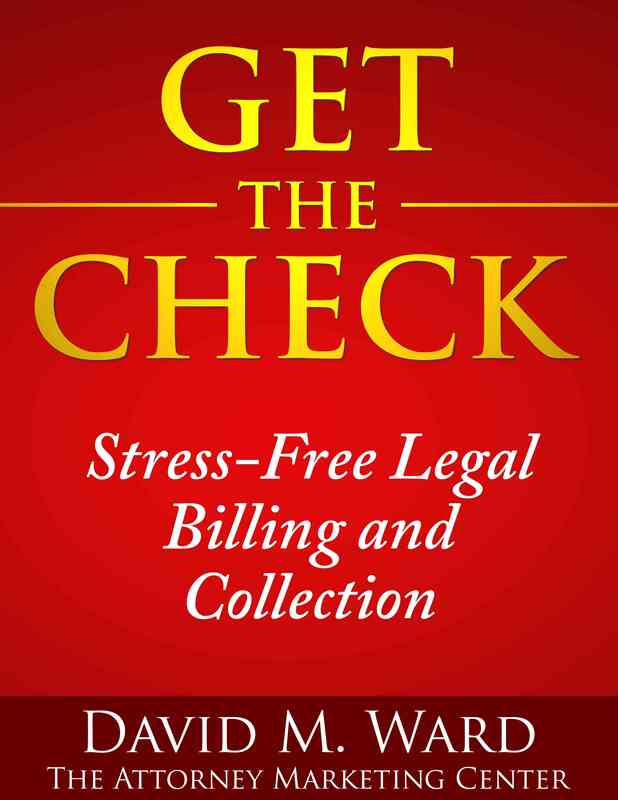 If you like the information on this site, you’ll love my free newsletter, “The Prosperous Lawyer.” Sign up now and get a copy of my Free Report: How to Sell Your Legal Services in 15 Seconds or Less! Have you taken your vitamin today?